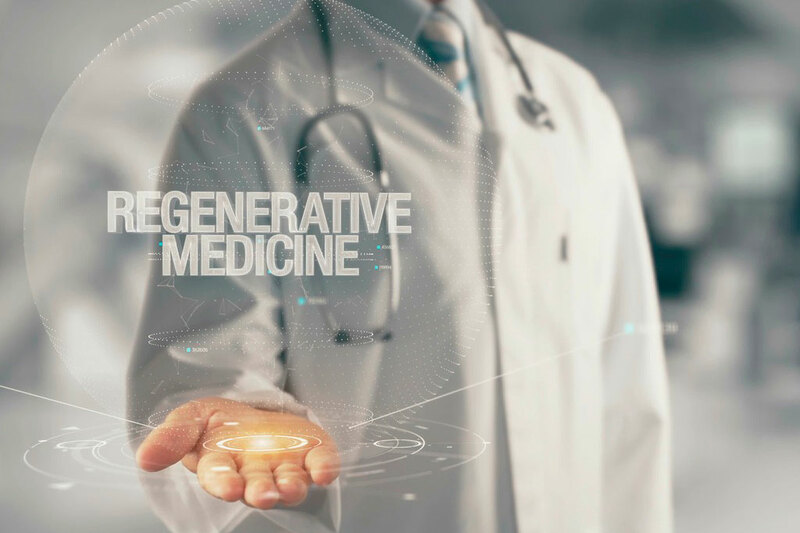 Dr. Zavoyski is proud to offer regenerative medicine options at Delray Orthopaedic Center. These treatments utilize our bodies own growth factors and cells to try and repair the damage that can be produced from osteoarthritis. By utilizing these treatments it is possible to help with the pain and discomfort associated with osteoarthritis. Although there are multiple types of physicians that are offering these treatments it is best to seek the care of an orthopedic specialist as these physicians are the most highly trained in treating musculoskeletal disorders and performing the injection type procedures into joints. Stem Cell Injections: These injections are designed to take the immature cells in the body and place them into the knee whereby it is hoped that they will become incorporated into the cartilage and develop into cartilage forming cells to help to repair some of the damage of the osteoarthritis process. This injection is mostly performed for knee osteoarthritis but can also be done for hip osteoarthritis. Typically the stem cells are harvested from the fat tissue or bone marrow. The stem cells are then identified and separated and injected into the arthritic joint. There may be pain at the harvest site for a few days. This procedure is not currently covered by insurance. If you are interested please call to make an appointment to speak with Dr. Zavoyski about further details. Platelet Rich Plasma Injections: Platelet rich plasma or PRP injections are injections for pain with hip or knee osteoarthritis. They can also be used in tendonitis type conditions. The procedure is performed first with a blood draw followed by centrifuging or spinning the blood to separate it into its layers. There is a layer that is rich in platelets and growth factors which are thought to help promote healing. This layer is siphoned off and then injected into the arthritic joint or around the inflamed tendon. This procedure is not covered by insurance and if you are interested please call to make an appointment to speak with Dr. Zavoyski for further details.